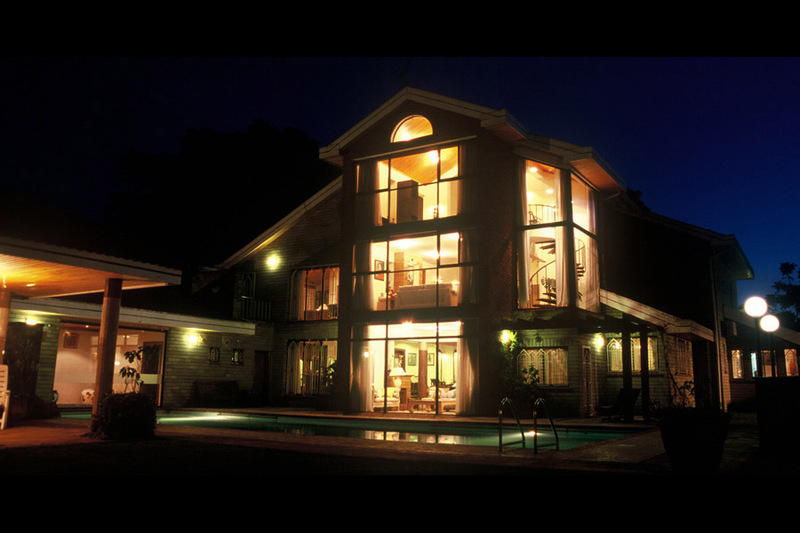 This 1/3rd acre property includes a 7,000ft2 House, staff quarters, garden, swimming pool, Jacuzzi and steam room. The house is focused centrally around an atrium garden and the design makes full use of the strong equatorial light while at the same time blocking the strong south sun. The strength of the design lies in the inside-outside relationships whereby the house and garden have a symbiotic relationship. HM Design prepared architectural, garden and interior architecture drawings and facilitated project from inception to completion (4/92 to 6/94).